My husband was very excited when he saw the package I left him full of MANGROOMER products. My husband is very meticulous about his hygiene and grooming, so this is the perfect set for him! He got to try out the MANGROOMER Private Body Shaver . He loved that it was wireless. 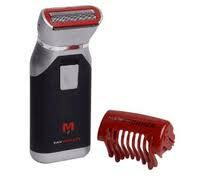 The MANGROOMER Professional Do-it-yourself Electric Back Hair Shaver also came in his stuff to try out. 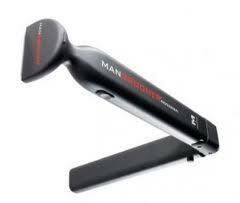 The back hair shaver is designed to get those hard to reach places with ease. My husband also loves that everything has rechargeable batteries. 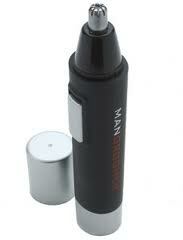 Finally, he got the MANGROOMER Essential Nose and Ear Hair Trimmer . He said everything is very efficient and easy to use. He actually liked everything so much that he told me that I could count it as his Christmas present if I wanted. If you are looking for an awesome gift for any guy - your husband, boyfriend, or brother...this set is an excellent choice! TO ENTER: Leave a comment letting me know who you would love to give these products to this holiday season! -Watch this you-tube video and tell me what discovery Thomas makes that "shakes the very core of man kind's evolution." 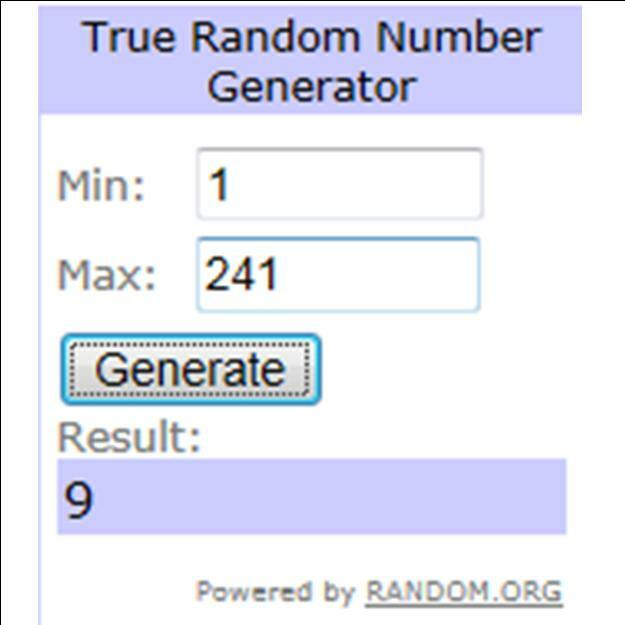 Leave a separate comment for each entry for this giveaway. This giveaway will end at 11:59 PM (Mountain Daylight Time) on December 4, 2011. 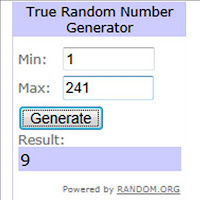 CONGRATS TO BRIDGET MILLER WHO WON THIS GIVEAWAY! I would love to give this product to my husband. I think he would really love it! I woud defiantly give this to MyLove! I liked the Mangroomer on FB! I like UCM on FB! I follow UCM on Pinterest! GFC Follower and I'd give this to my dad! My husband would love these and, uh, I would love him to have these! :) Thanks! Like Mangroomer on FB (Contest KAO). Like your site on FB (Contest KAO). Thanks! Follow Mangroomer on Twitter @irishluck1114. Follow you on Twitter @ irishluck1114. I would give these products to my husband! My husband would be the lucky recipient of these! I would give this to hubby. I would love to give my husband this for christmas. I would discreetly give these to my dad! I would love this for My Husband!! A gift for my son. I would love to give it to my fiance. Thomas found the back hair shaver. Thanks for the giveaway...hairy guy here...would keep them for my own use ! I would give this as a gift to my husband! He found the back hair shaver. I am following via GFC (AndreaH). I like MANGROOMER on Facebook (Andrea Hamilton). I like you on Facebook (Andrea Hamilton). I am following MANGROOMER via twitter (andreacouponz). I am following you via twitter (andreacouponz). I would love to get this for my hubby for Christmas. i would love to give this to my husband! i am constantly reminding him to trim his nose hairs, ew! I would love to give this to my longtime boyfriend. I know he would get lots of use out of it. I would love this for my husband! Thanks so much for the fantastic giveaway! I follow ManGroomer on Twitter as Renee Walters1! Thanks so much for the fantastic giveaway! I like Mangroomer on Facebook as Renee Walters! Thanks so much for the fantastic giveaway! I really need this. Hair coming out the nose, the ears and the mustache needs trimmed. Ireally need this. I would give them to my husband. 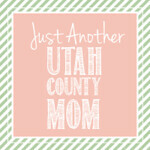 Following @utahcountymommy on Twitter @hle123. Subscribed to Utah County Mom via e-mail. I'd give this to my husband. My dad needs this bad! I would give this to my father. he discovers the extendible back shaver! i liked mangroomer on fb. I would give the Mangroomer to my hubby! Thanks!!! This would go to my husband! I would love to give this to my husband, it would make him feel special. I would love to give this to my son Michael. Though he would never admit a need for this, my husband would love it! I would give these products to my son. I would love to be able to give these to my dad! Thomas found the diy back shaver! I like Mangroomer on Facebook. This would be perfect for my husband!! hehe He really wants it! My husband would receive this and he would love it! I would give them to my hubby because he is quite hairy. He found the electric back hair shaver. I would love to give this to my husband this holiday season. I would LOVE to give this to my husband!!! These would ALL go to my husband. He's been sprouting hair all over the place lately. I like Mangroomer on Facebook! 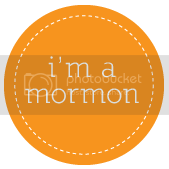 I like UtahCountyMom on Facebook!